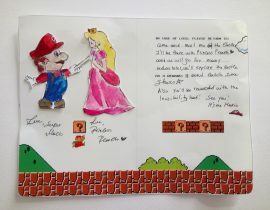 Enter our #M_Supermario Creativity Challenge by creating and sharing your In-case-of-loss reward. Entries close on 20th August 2018. 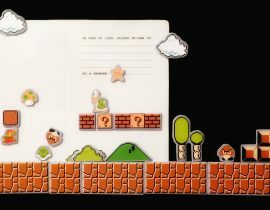 Join the Super Mario Creativity Challenge and using the Moleskine “In case of loss” template, create your own unique reward. The template is downloadable here in the Workshops area. 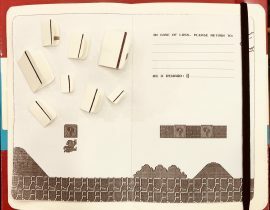 Come up with the most original, creative and fun idea and share it with the community; the most voted rendering will win a boxful of Moleskine goodies and a Limited Edition Super Mario notebook! You can draw, paint, collage your reward, use whatever mediums speak to you most. Only one entry per author. 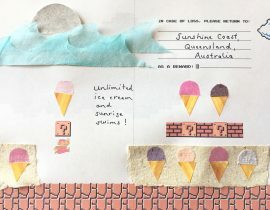 Artworks submitted for previous creativity challenges will be discarded. Gina - Ice Cream Unlimited! 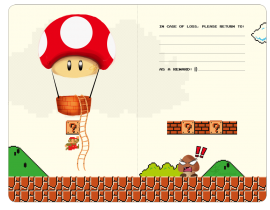 Super Mario – In case of Loss Contest!!! 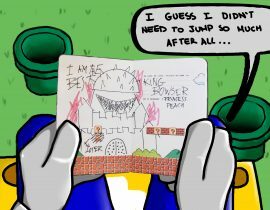 jasper low - Super Mario – In case of Loss Contest!! !